Want to celebrate Burns Night but don’t enjoy the lengthy speeches? Like haggis but want to have fun as well? 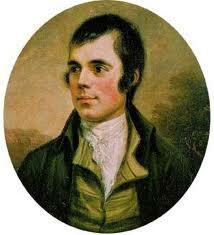 Then come to The Big Shed ‘alternative’ Burns Night! Tickets are £10 (£7 conc) and include a 2 course meal, a large dram of whisky, “poetic” entertainment and a ceilidh. There’s a bar as well. Transport will be available to/from Killin, but please phone Jane on 07766 566935 in advance to arrange.